Larry David's in a (disturbed) New York state of mind for a new season of angst and agitation. 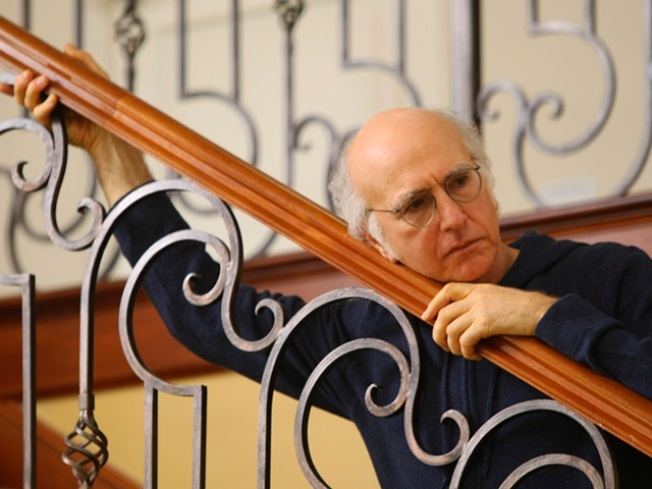 Larry David is returning to the roots of his neuroticism: New York. A billboard went up recently in Times Square featuring Larry David as Lady Liberty. But the grimace he sports suggests an affinity not for the "tired and poor" as much as for the plain-old sick and tired. "Curb Your Enthusiasm," David's often painfully hilarious comedy of (bad) manners, is set to return Sunday for a new season that’s also a homecoming of sorts. 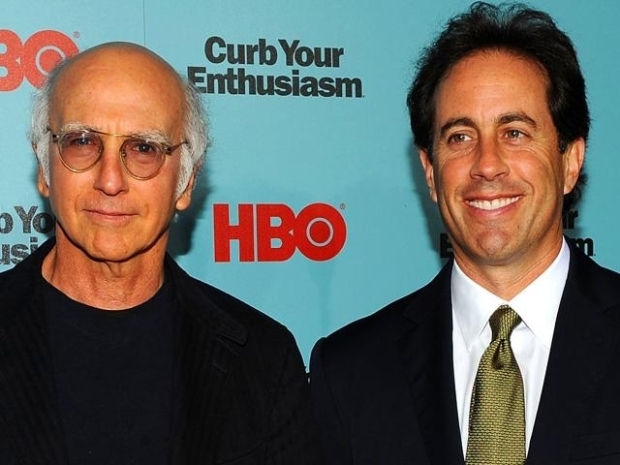 About half of the episodes are set in New York, which has always been a key character in Brooklyn-reared David's work, from "Seinfeld" to "Curb," even if most of the filming took place in Los Angeles. David's (hopefully) exaggerated version of himself is out of place in Hollywood, which is a big part of the joke on “Curb.” We suspect, though, his comedy of confrontation will only grow exponentially in a place filled with similarly minded folks who also tend to over analyze ordinary interactions and say whatever they’re thinking. We're thrilled - and just a little surprised - that David is returning for an eighth season of his HBO show, especially since it will be hard to top last season’s "Seinfeld" non-reunion reunion story arc. Truth be told, though, we were thinking much the same after Season 4, which featured Mel Brooks in a storyline that brought Larry to Broadway for a disastrous run in "The Producers." So forgive us for having high hopes for perhaps TV’s biggest pessimist (we’d put him in the same cloud of gloom as Louis CK). There’s much to look forward to: Larry’s new battles with Rosie O'Donnell (their restaurant-check wrestling match proved a highlight last season), him literally butting up against Michael J. Fox ("I suppose that was Parkinson's, too?") and clashes with fellow master practitioner of the comedy of the uncomfortable, Ricky Gervais. David, clearly, is not everybody's cup of bile, and as much as we missed him, it’s probably not a bad thing that 20 months have passed since our last new serving. We suspect that censored episodes of "Curb" now in syndication have increased the thirst for his brand of humor, even if he'll never achieve the icon status of "Seinfeld" – and certainly not that of the Statue of Liberty. Jerry Seinfeld and Larry David on Recreating "Seinfeld"
Jerry Seinfeld and Larry David chat about getting the "Seinfeld" cast back together for the faux reunion on "Curb Your Enthusiasm."